If you have security cameras you probably do not want them to be damaged or destroyed. It is also probably safe to say that you would not want your security cameras to be stolen. Although it is extremely rare for criminals to physically steal security cameras instead of just damaging them, it is not unheard of. Criminals hacking into or accessing security camera footage is also not unheard of. Security cameras film indiscriminately unless they are being directed by a user. This means that security cameras can be used to track both you and your criminal’s activities. 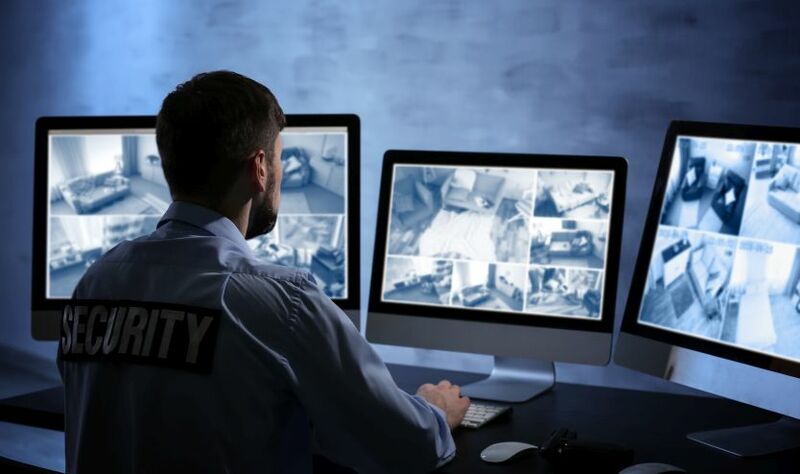 If a criminal is able to access security camera footage to see what you are doing throughout your daily affairs, they may detect a pattern or even use live footage to more effectively commit crimes against you. The first rule of passwords is to never underestimate the importance of a strong password. The second rule of passwords is to never overestimate the capabilities of a strong password. Change your passwords regularly, even if you know they are strong, and try to make them as randomized as possible. I do not mean make your passwords a random word from the English language, make your password an abomination that is a combination of letters, numbers, and special characters, such as: 1d!rtyu84#?b. Upgrade your security camera system’s firmware whenever an upgrade becomes available. Vulnerabilities in software are more likely to be found as the software ages, meaning that criminals are more likely to know the vulnerabilities of an older system and not those of a newer system. Registering your camera with a manufacturer will also help you keep up-to-date in combatting any issues which the manufacturer uncovers in their technology. Cloud storage is a tool developed for convenience, but by giving yourself more luxuries with how you can use your cameras, you are also making your security footage more at risk. Allowing your footage to be cloud accessible makes it vulnerable to not only hacks against your business, but also to hacks directed at your cloud storage provider. Weigh the pros and cons of having cloud accessibility for your security system before buying your system. While you are thinking of ways to physically protect your cameras from criminals, don’t neglect protecting your security camera footage. Creating new and strong passwords, keeping your software updated, and reducing the number of security footage holders can all help you improve your security. Want to share this story on social media? Use these hashtags!